First opened in September 1970 Cockerton Library won architectural design awards for its unusual 'saw tooth' shape and has become a major part of the area. Stocking a range of books to cover readers of every age group as well as large print editions and books on tape it also has a varied CD collection. For those without computers internet access is available, along with searching the library listings this can be used for research and entertainment. 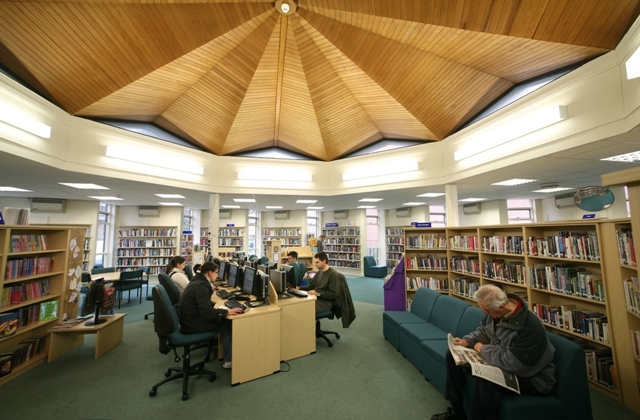 As well as being a resource for literary inspiration Cockerton Library is used by community groups to hold meetings. It is a vital and vibrant part of the local community and must not be lost!